CHARLIE VALLUZZO and the Valluzo Family celebrated the 50th anniversary of the 1st McDonald's in Batpn Rouge on Thursday, May 16, 2013 at 6006 Plank Road. 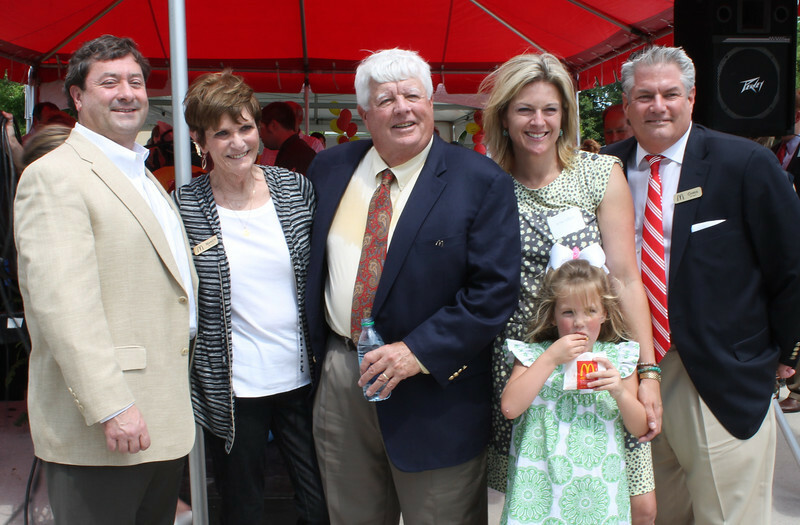 Woody Jenkins said, "The Valluzzo family has made a tremendous contribution to the Baton Rouge community. The McDonald's on Plank Road was the first McDonald's I ever saw, and it was a popular hangout for students at Istrouma High School in 1963. My friend Freddie Koch and I would walk to the McDonald's from his home on Denham Street. It was great to celebrate this moment with the Valluzzo family."